You know him from the movie "Dope" and Netflix&apos;s "The Get Down." 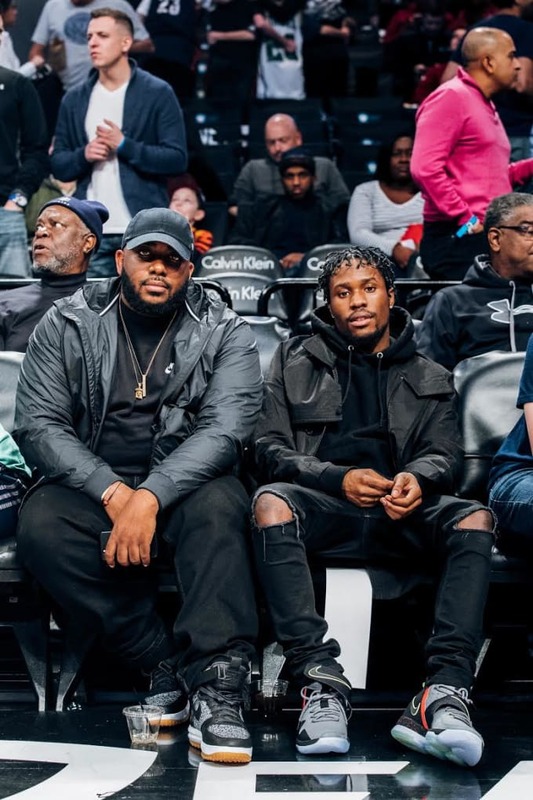 Now, you&apos;ll recognize actor Shameik Moore as one of the first people with the Nike LeBron 14. Moore was spotted courtside at tonight&apos;s game between the Cleveland Cavaliers and Brooklyn Nets wearing the "Out of Nowhere" colorway debuted by James on Christmas Day. Kyrie Irving is the only other person who has shown off a pair on Instagram. As now, James has only worn three colorways of the LeBron 14 himself and Nike hasn&apos;t announced an official release date for the model.